Motorola’s E series has always been about offering no-frills phones with solid performance and affordable price. 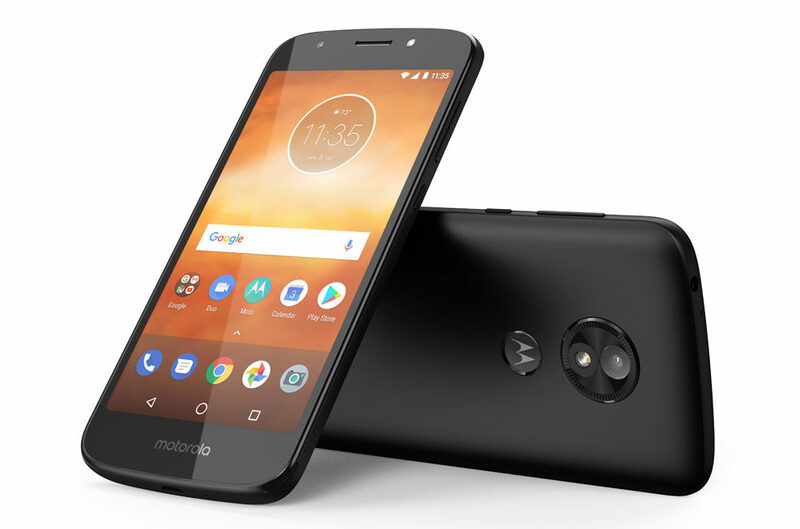 And the recently launched Moto E5 Play is no different with a capable Snapdragon processor, enough RAM to handle common tasks, and a removable battery. 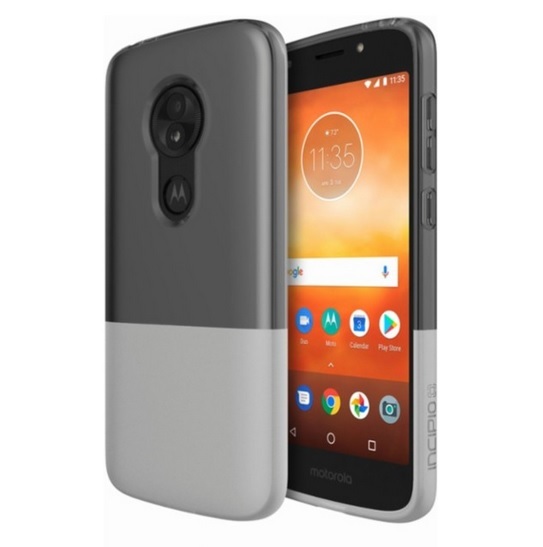 Also available at T-Mobile, the Moto E5 Play is one of the best phones at the carrier if you are not looking to spend a lot of cash for a mobile phone. Despite the phone’s low price point, it would still be wise to protect your investment by snapping a protective case on it. 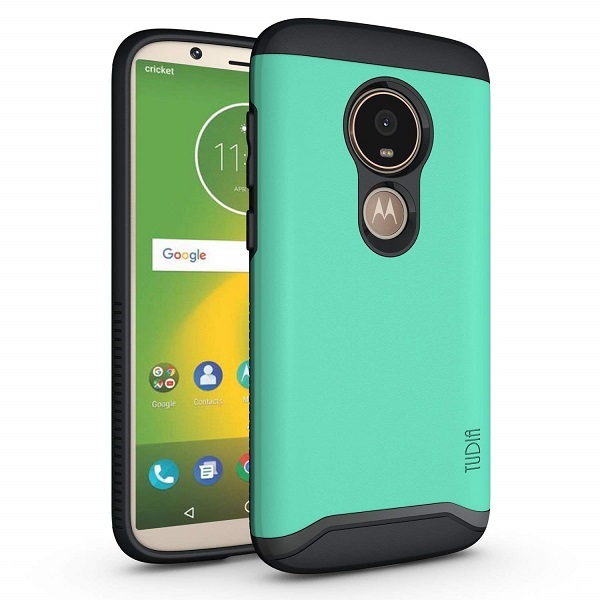 So for this article, we’ve put together a list of some of the best cases available for your Moto E5 Play. From clear or rugged to slim and leather, we cover them all. 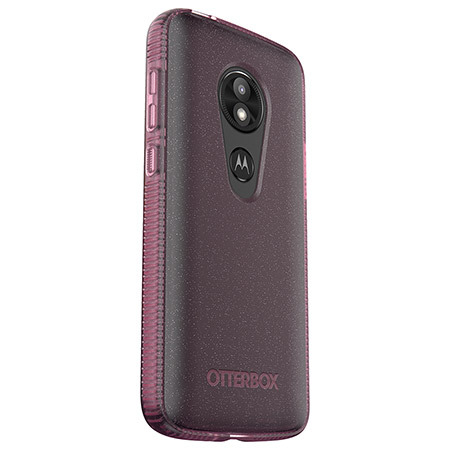 Otterbox has a sleek case for the Moto E5 Play on offer. It’s shock-absorbing, so you won’t have to worry about damaging your phone and it’s offered in three funky colors: Black, Pink Glitter and Smokey Clear. The design of the case though, well, isn’t something to brag about. 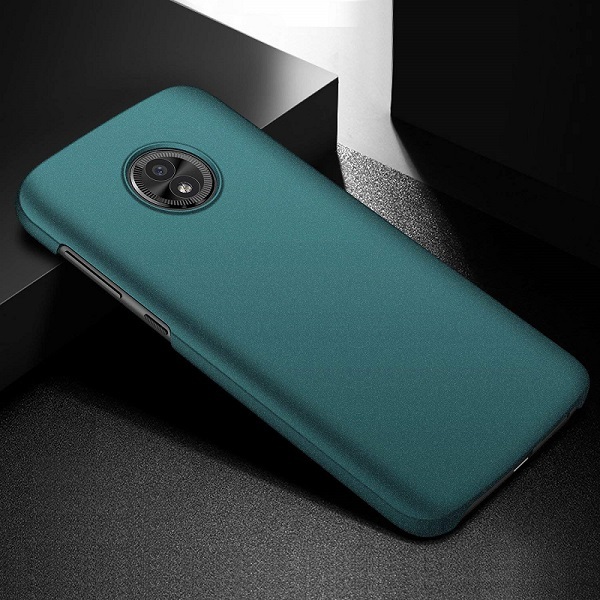 Incipio is a household name when it comes to phone accessories, so it’s no wonder the company is also offering a dedicated case for the Moto E5 Plus. The product relies on soft shell technology and is precision engineered with a shock absorbing Flex2O polymer material that is stretch and tear resistant. So it should prove quite long-lasting too. Comes in all-Black or Black/Gray. Add a dash of color to your Moto E5 Play with these ultra-thin cases from Anccer. Made from advanced PC, the accessories will provide drop, bump and shock protection for your phone. They come in various color options including Blue, Red, Pink or Green. Tudia sells a heavy duty case that also looks stylish and is quite slim. 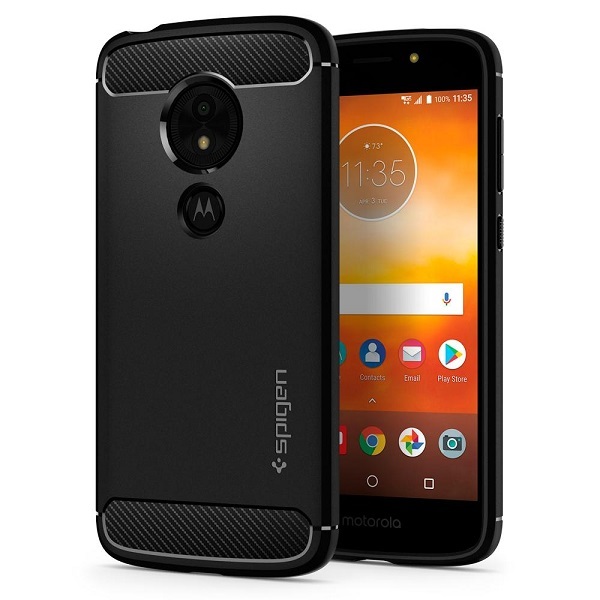 The case boasts a dual-layer design with a quality polycarbonate layer and a TPU skin which combine to perfectly protect your Moto E5 Play. The product also features raised edges in order to prevent the display from getting scratched when the device is placed with the display down. Get it in all-Black or in Gold, Green or Gray with black accents. 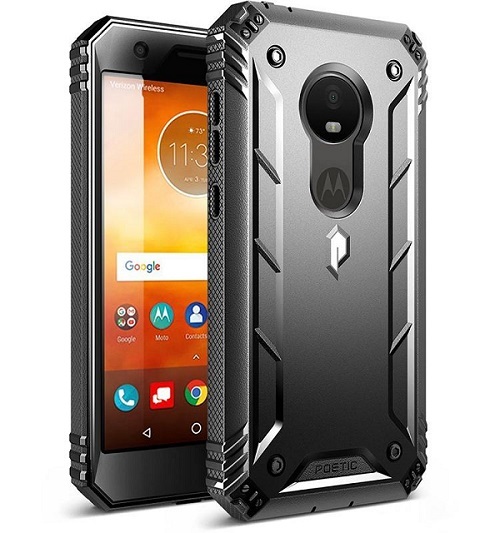 Feel like you need more rugged protection for your Moto E5 Play? Well, then this Spigen case might be of interest. 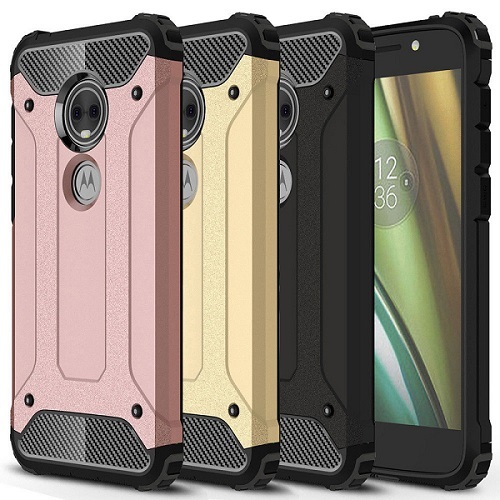 Like all the rugged cases offered by the company, this one also makes use of Air Cushion Technology to offer drop defense. Featuring a matte black frame with carbon fiber detailing, the case will make your phone stand out, while also keeping it safe. 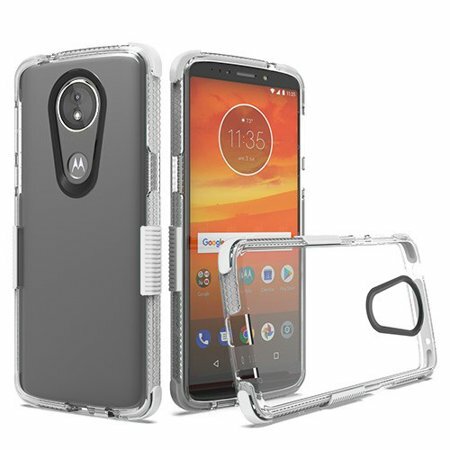 Check out this unique-looking case for the Moto E5 Play from Poetic. It offers 360-degree protection thanks to the built-in screen protector, port covers, rugged back and shock absorbing TPU bumper. What’s more, the case covers all the ports with dust flaps, so dirt doesn’t get in. Poetic sells the case in Black or Blue. This case by Tevero offers full-body protection with added drop-defence at each corner. It also features a kickstand, so you can watch videos on your Moto E5 Play more comfortably. A belt swivel clip has also been included, for easy carrying. Tevero is selling the accessory in Black, Blue, Green or Red. 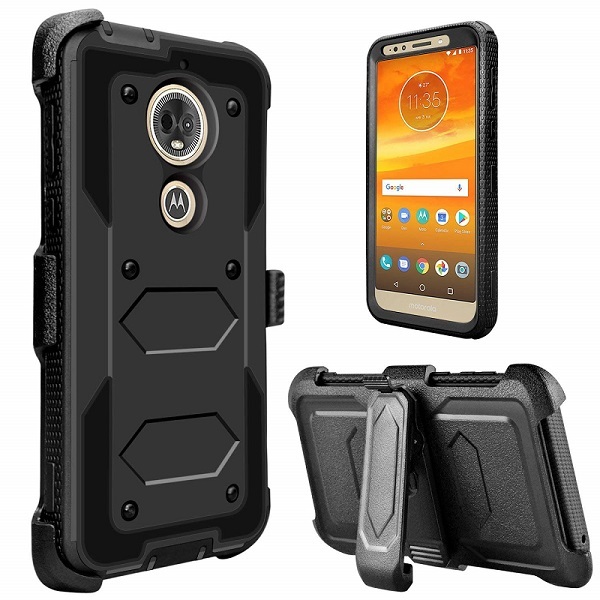 eBay is the best place to search for cheap cases, like this Rugged Armor case which features a durable 2-layer combo for shock absorption. Made of rigid plastic and soft TPU, the accessory can safeguard your phone against drops and scratches. The product is available in a wide range of color options including Black, Rose Gold, and Pink. Fan of minimalism? Then a clear, slim case like the Speck Gemshell is exactly what you need. You won’t even notice it’s there. 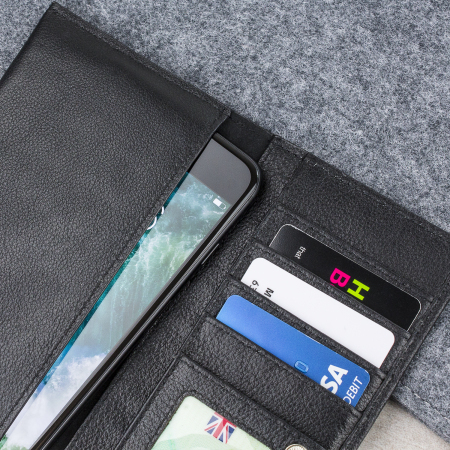 The product boasts a dual-layer perimeter to keep your phone safe in case of accidental drops. What’s more, the raised bezels, ensures the Gemshell protects the so-very sensitive display. 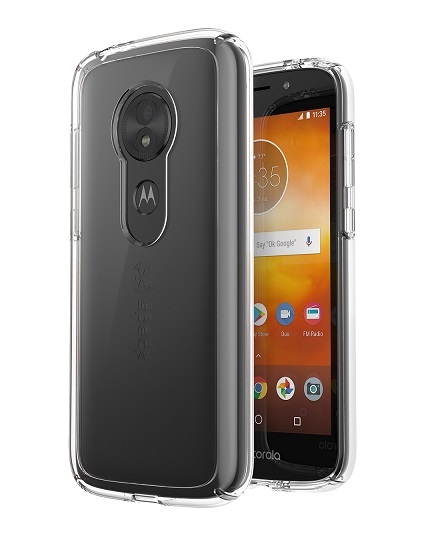 Want an affordable clear case for your Moto E5 Play? Why don’t you look at what Walmart has to offer? 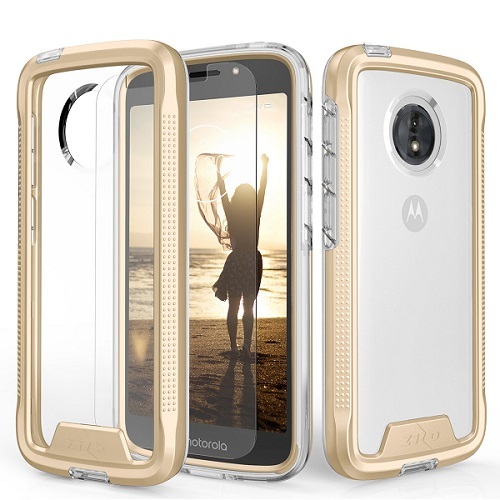 This one is made from durable materials (TPU+TPE) that can provide total protection to your phone. At the same time, the case is lightweight and very soft. What’s more, the extended corners add drop protection to phone’s edges. The Zizo Ion Series for the Moto E5 Play by Zizo Wireless boasts Military Grade 810.1-G certification. Even so, the case it’s quite lightweight and stylish offering an anti-slip grip. It also includes a tempered glass screen protector. It’s available with a Black, Pink, Gold or White frame and a translucent back. 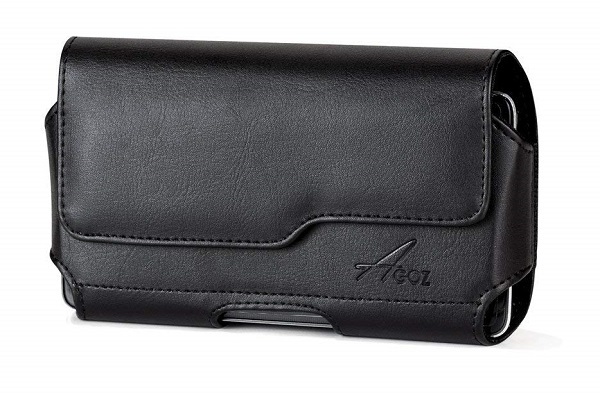 Like the classic approach of the wallet leather case? Well, then why don’t you give your Moto E5 Play a stylish makeover with this case by Maikezi. The product features a front cover made of PU leather with an iron sheet inside that will shield the display in case of accidents. It features an interior card slot and can be used as a stand too. Customers can get it in Black or Brown. 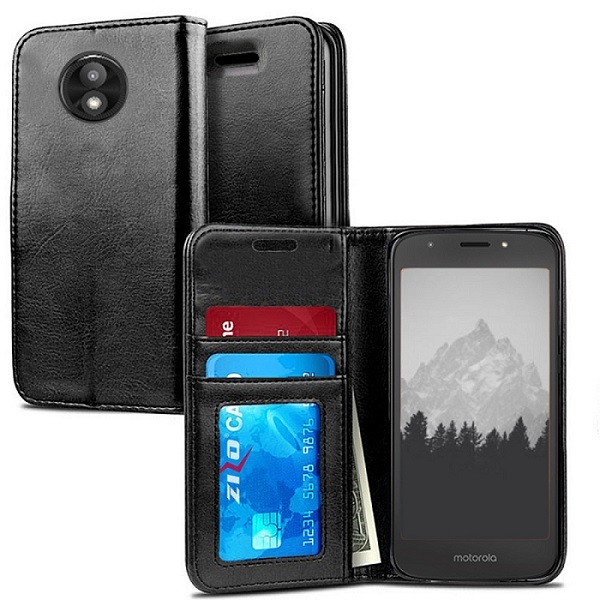 The ZV Wallet Pouch Case features an inner TPU case that keeps your Moto E5 Play safely in place. A magnetic flap seals the pouch shut, also protecting the phone’s display. On the outside, the case is made of high-quality PU leather and it’s offered in different coloring options including Black, Blue and Pink. The case also has interior slots for your ID and cash and doubles as a kickstand for easier media streaming. The super-stylish cases from Free-Case are a beauty. The products are made of premium synthetic leather with secure and straight stitching. Obviously, they boast a secure magnetic closure to keep everything in place. The accessories also double as a kickstand and include several card slots, just as you’d expect. Buy in Black or Brown. Carry your Moto E5 Play and your personal documents and cards with the Olixar Primo pouch case. It’s made of 100% genuine leather with precision stitching and soft lining. The pouch doubles as a wallet and a case for your phone too, so you can effortlessly carry both. It’s available in Black. This leather pouch for the Moto E5 Play lets attach your phone to your belt, for more convenient carrying. 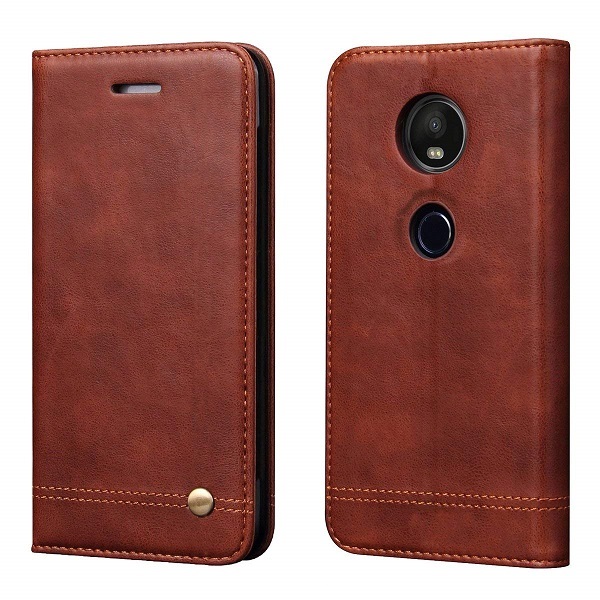 It features a leather exterior and soft inner lining that protects your device from scratches and dirt. The pouch features a magnetic closure that keeps the handset safely in place. Want your Moto E5 Play to stand out? Then why don’t you slap one of these cases on? The Workit Out series features cute designs on the back that will surely attract the attention while providing a durable shell to safeguard the phone’s physical body. The product is made of soft gel material and provides a comfortable grip and easy installation. 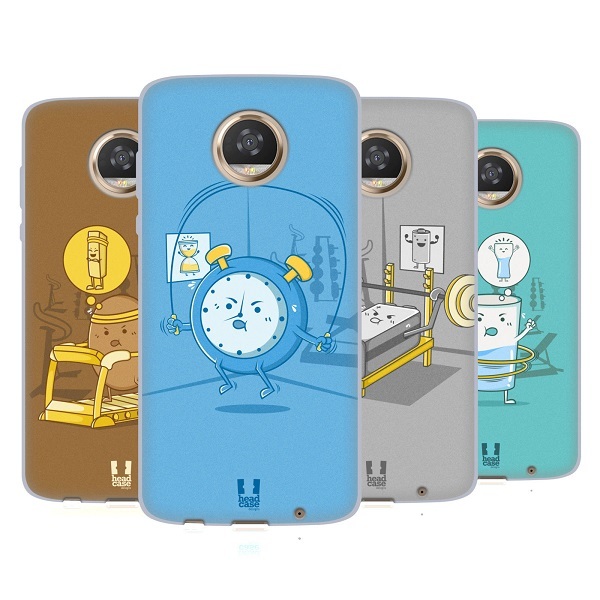 Want to give your Moto E5 Play some personality? 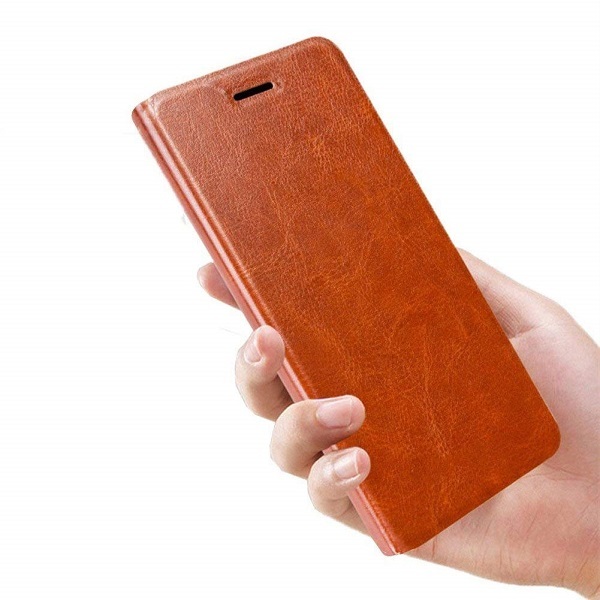 Check out this gorgeous case from Stuff4 with a wood grain effect on the back. 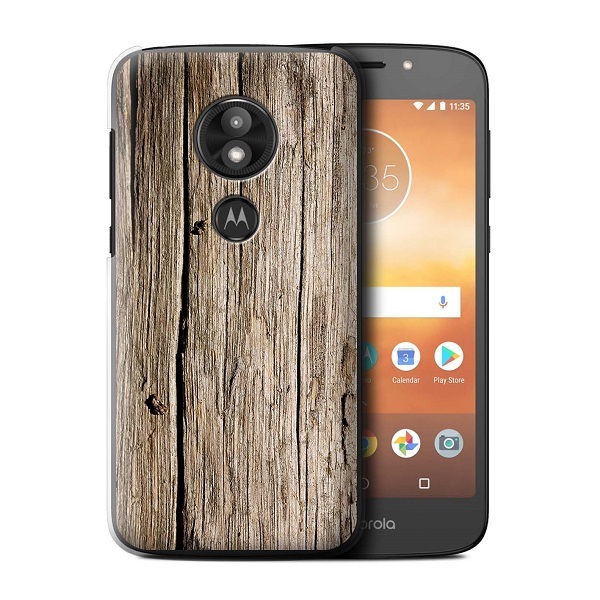 The product is not made of real wood, but of polycarbonate plastic, which is fine because this will ensure you’ll phone is kept in pristine condition. Comes in a variety of patterns including Plank, Pine or Walnut. We’ve rounded up a lot of cases here, so out of all these options, which one would you consider buying for the Moto E5 Play?